Healthcare-associated infections are those that occur 48 h after hospital admission and can lead to significant morbidity and mortality, with bloodstream and pulmonary infections carrying the highest mortality rate. These infections have an important impact on quality of care and represent an economic burden to the healthcare system. Infection prevention programs encompass a set of interventions and measures aimed at preventing spread of infections in the healthcare setting. A necessary feature for its success is dedicated leadership, which should include a hospital epidemiologist with background training in infectious diseases, a microbiologist, an infection prevention nurse, pharmacists, director of employee health, and information technicians. Critical care specialists are often key partners in infection prevention, as healthcare-associated infections tend to concentrate in critical care settings. The infection prevention program has several functions, such as surveillance, feedback and education of clinicians using surveillance data, management of isolation, promotion of hand hygiene, and evaluation of its compliance, along with developing protocols for proper insertion and maintenance of medical devices. Continued monitoring of outcomes and performance evaluation of infection prevention procedures is needed to assess the effectiveness of said interventions and to implement changes and adapt them as new surveillance date becomes available. Healthcare-associated infections (HAIs) are defined as infections that occur more than 48 h post-admission. These infections develop during the hospital stay and remain a significant health problem, despite its preventable nature and contribute to mortality and morbidity as well as increased cost of healthcare. The most important HAIs are those related to invasive medical devices, such as central line-associated bloodstream infections (CLABSIs), catheter-associated urinary tract infections (CAUTIs), and ventilator-associated pneumonia (VAP). Surgical site infections (SSIs) are an important category of HAI as well . Multiple factors can contribute to the development of HAIs, and these include patient-related, environmental, and healthcare-associated factors. Among patient related-factors, advanced age, presence of medical comorbidities, immunosuppression related to medications or underlying disease, and prolonged or recurrent hospital stays all increase risk for HAIs. Environmental factors include contamination of water and air-conditioning systems and design of the healthcare facility (e.g., availability of private or semiprivate rooms, proximity of patient beds in semiprivate rooms, shared patient restrooms, availability of handwashing stations, nurse-to-patient ratio, etc.). Healthcare-related factors relate to the need for invasive procedures where there is breach of the natural barriers of the body (ranging between placement of medical devices such as central lines and performance of diagnostic procedures to complex surgical interventions) . Hospital-acquired infections are associated with significant morbidity and mortality globally. The Centers for Disease Control and Prevention (CDC) publishes yearly reports on HAI trends and statistics from its HAI surveillance systems, the National Healthcare Safety Network (NHSN), and the Emerging Infections Program Healthcare-Associated Infections Community-Interface (EIP HAIC). About 1 in 25 hospital patients has at least one healthcare-associated infection. In 2014, the results of the HAI Prevalence Survey, which described the burden of HAIs in US hospitals, were published. It reported that in 2011, there were an estimated 722,000 HAIs in US acute care hospitals and about 75,000 patient deaths related to HAIs . The CDC’s HAI Progress Report of 2016 showed improved HAI prevention. Among acute care hospitals nationwide, the report found a 50% decrease in CLABSIs between 2008 and 2014, no change in overall CAUTIs between 2009 and 2014, and 17% decrease in surgical site infections (SSI) related to the ten select procedures tracked in previous reports . The European Centre for Disease Prevention and Control (ECDC) estimates that 3.2 million patients develop a HAI every year in Europe. According to results from the third Scottish National Prevalence Survey, 1 in 22 patients (4.5%) at any one time have a HAI. Prevalence of HAI was 2.7% in pediatric patients and 3.2% in non-acute patient groups. The most common HAI types reported in adult patients were urinary tract infection and pneumonia . HAIs also represent important cost and burden to the healthcare system. In the United States, it estimated that HAIs cost $9.8 (USD) billion in direct cost per year according to data from 2011 . Currently, there is no single surveillance system in the USA that can accurately estimate the burden of all HAIs across the affected patient population in acute care hospitals. Most hospitals limit reporting to device-associated infections, selected surgical site infections, and infections due to Clostridium difficile and methicillin-resistant Staphylococcus aureus (MRSA). To address this limitation, the CDC developed a multistate prevalence survey of healthcare-associated infections and use of antimicrobial agents, which culminated in 2011 in a large-scale survey that estimated prevalence of HAIs in acute care hospitals, determining their distribution according to infection site and pathogen . The current estimates of HAI burden are lower than in previous reports. It appears that device-associated infections particularly have had lower rates of prevalence when compared to the past. In this survey, device-associated infections accounted only for 25.6% of all HAIs. Infections not associated with devices or operative interventions accounted for half of all HAIs in the survey. An example is the recent focus on surveillance and prevention of C. difficile infections. Seventy percent of gastrointestinal infections were due to C. difficile, and GI infections overall were the third most common of all HAIs. The rate of C. difficile acquisition is estimated to be 13% in patients with hospital stays of up to 2 weeks and 50% in those with hospital stays longer than 4 weeks . It’s been shown that HAIs increase hospital length of stay (LOS). In a study by Perencevich et al., it was found that catheter-associated infections increased LOS by 12 days and ventilator-associated pneumonia increased LOS by 9 days . As disease trends change with time, innovative approaches are needed to achieve adequate surveillance, and the focus on prevention of a given clinical entity might shift depending on the prevalence observed during surveillance protocols. Many hospital-acquired infections are preventable. The main way to measure and prevent HAIs is through surveillance programs and local infection prevention protocols. This a broad strategy that can lead to reduction in infection rates through timely feedback, although current manual surveillance methods are resource intensive and lack standardization [20, 21, 29]. The SENIC Project (Study on the Efficacy of Nosocomial Infection Control) funded by the CDC and published in 1980 is a classic study regarded as an important reference in the field of infection prevention, which showed that infection prevention programs with dedicated hospital epidemiologists and surveillance programs reduced nosocomial infections by 32% compared to settings without infection prevention programs. Among the components of an effective program, the SENIC study listed balance between surveillance and prevention efforts, presence of an infection prevention nurse for every 250 beds, availability of a hospital epidemiologist, and notifying practicing surgeons about the surgical wound infection rates. This last statement was an example on how surveillance findings can be used to provide feedback and train healthcare personnel [2, 13]. The SENIC study defined surveillance as an activity that would measure the infection rate, considering the risk factors and would provide feedback to clinical staff. Prevention activities were those that would reduce the risk of infection including aseptic technique, appropriate cleaning, sterilization, and disinfection of used equipment and instruments . Up to this date, the SENIC is regarded as the study that settled the scientific basis of modern Infection Prevention Surveillance Protocols. Its findings have been used as a reference for creation of infection prevention protocols worldwide; however, there is still significant variation and disparity among protocols between and within countries . While it can be argued that surveillance protocols tend to provide baseline data in a more passive manner, in recent years, more active interventions have been implemented with the goal to reduce HAIs. Among these, the use of bundles to prevent device-associated infections has gained considerable attention. The concept of bundle use is part of a multimodal approach to reduce HAIs . The Institute for Healthcare Improvement cites multiple infection prevention activities such as appropriate precautions, identification of colonization with active surveillance, cleaning of environment and equipment, hand hygiene, bundle use, and appropriate antimicrobial selection as the drivers to reducing HAIs . The success of a quality improvement program will depend on the accuracy of the data obtained regarding incidence of HAIs and availability of tools to assess the effect of an intervention. Traditionally, charts are manually reviewed following a standardized case definition to detect the incidence of HAIs. These methods are time-consuming and can be affected by subjective interpretation. Automated surveillance methods using electronic extraction of relevant data from electronic health records (EHRs) via algorithms have been proposed to reduce the subjective error of manual chart review . Written policies are helpful to implement healthcare practices and serve as a guide for clinicians. Policies need to be uniform across the institution and must be subjected to modifications over time, as new surveillance data becomes available . Infection prevention programs need to be sustainable and transferrable. In order to gain administrative and financial support, infection prevention programs and hospital epidemiologists need awareness of business principles and must be able to use economic arguments to support their activities . Hand hygiene (HH) is the most commonly evaluated intervention, and its compliance rate has been noted to have wide variability despite the low complexity of this intervention. It was fist demonstrated by Semmelweis in 1847 at Vienna hospital that handwashing decreased the rates of death by tenfold in mothers who had been assisted in delivery by health personnel with contaminated hands from other medical activities . Since then, multiple studies have demonstrated the association between increased hand hygiene compliance with decreased rates of infection. This intervention needs constant reinforcement to ensure its sustainability in time. The CDC published a hand hygiene guideline in 2004 that recommended alcohol-based hand sanitizers as the preferred method of hand decontamination in most patient care situations . Studies have demonstrated that lack of readily available sinks or handwashing stations is a factor that contributes to decreased compliance. The introduction of alcohol-based hand sanitizers helped increase compliance rates for HH; however, most studies show that these interventions result in transient increase of compliance rates that are not maintained over time. Haas et al. evaluated the effect that a personal, wearable alcohol gel dispenser would have as an intervention to maintain a sustained increase in HH compliance. The greatest increase in compliance was seen during the first month of the study; however, the HH compliance decreased over the course of 10 weeks, and during the final phase of the intervention period, compliance was not significantly improved from the baseline rate . A study conducted by Saint et al. at hospital units in Tuscany, Italy, showed that hand hygiene rates improved among nurses from 19.2% (46/239) to 40.7%, (107/263) and in physicians from 7.7% (14/181) to 50.5% (101/200) after a multimodal intervention and this was sustained over a 1-year period post-intervention, with an overall HH rate of 45.2% (206/456) [8, 30]. A study by Musu et al. that evaluated the presence of procedures and protocols for infection prevention and adherence to HH by healthcare workers in six ICUs from hospitals in the Center and North of Italy showed highly variable levels of adherence to the best hygiene practices, with compliance rates ranging from 3% to 100%. This variability was explained by the authors to be due to configuration and bed distribution among the different units, as well as availability of a water-alcohol solution dispenser hanging at the wall . It’s been noted that hand hygiene as an intervention is difficult to consistently assess across different observational studies due to the fact the definition of hand hygiene varies greatly among studies. In one study, the definition of a HH indication was prior to patient contact and, in another, prior to a “dirty contact,” and other studies adopted or adapted the World Health Organization “Five Moments of HH” . According to the 2015 publication by the Health Information and Quality Authority, an independent authority that monitors the quality of healthcare networks in Ireland, it was evidenced that hand hygiene compliance rates had been increasing since 2011 after initiation of the first audits to evaluate said aspect of healthcare, showing that hospitals were committed to promote and embed good hand hygiene practices across all levels within their organizations. The average hand hygiene compliance rate achieved by participating Irish acute hospitals for 2015 was 89.2%, which was very close to the key performance indicator of 90% . In 1996, the CDC and HICPAC combined the major features for Universal Precaution and Body Substance Isolation into what is now referred to as Standard Precautions . Isolation and barrier precautions aim to reduce or eliminate direct or indirect patient-to-patient transmission of healthcare-associated infections. Transmission of HAIs can occur via three mechanisms: contact, droplet, and airborne. Contact involves skin (or mucosa) to skin contact and the direct physical transfer of microorganisms from one patient to another. This can occur via the hands of a healthcare worker or through a contaminated surface. Droplet involves respiratory particles that are larger than 5 μm, and not suspended for long in the air, travelling distances less than 1 m. Airborne transmission involves respiratory particles 5 μm or smaller, which can remain suspended in the air for extended periods of time and infect susceptible hosts several meters away from the source . The precautions for isolation based on these mechanisms of transmission were first introduced in the 1996 CDC guidelines  (Table 1). The most cost-effective way to prevent transmission of pathogens consists of a combination between standard precautions and extra isolation techniques for the three mechanisms of transmission listed above. Standard precautions are a basic list of hygiene precautions that are applied to every patient to decrease the risk of transmission of infectious agents. Extra barrier or isolation techniques (contact, droplet, and airborne) are implemented for patients who have suspected or known colonization or infection with a highly transmissible organism. These precautions have also been effective in limiting the spread of multidrug-resistant Gram-negative bacilli, methicillin-resistant Staphylococcus aureus (MRSA), and vancomycin-resistant enterococci (VRE) . Effective prevention in transmission of pathogens depends on three key factors: a clearly written document that describes the techniques for isolation and indications available for all healthcare workers, implementation of the procedures through clear objectives, and education of the staff and monitoring compliance with these procedures. The implementation of isolation precautions can have impact in other areas of patient care as well. There are several studies that evaluate the psychological effect that implementation of contact isolation measures can have on patients. A literature review by Abad et al. concluded that most studies report a negative impact in patient psychology and behavior, reporting higher scales for depression and anxiety and higher anger-hostility scores, as well as more reports of fear and loneliness. These effects are thought to be linked to loss of control and uncertainty. Preparing these patients emotionally before isolation precautions are implemented, as well as providing education regarding the need and reasoning behind these measures, may help decrease their anxiety. The review also found that time spent by healthcare professionals with patients under isolation precautions was less frequent or shorter in duration compared to patients not on isolation . Sterile techniques are specific interventions and strategies that are performed before and during invasive procedures to reduce exposure to microorganisms and maintain surfaces as free from microorganisms as possible. These techniques help prevent SSIs and other infections acquired in hospitals and other healthcare settings such as ambulatory centers, physician offices, and other areas where patients can undergo invasive procedures. The purpose of creating and maintaining a sterile field is to reduce the number of microbes present to as few as possible. When practiced correctly, it can improve patient outcomes by decreasing microbial contamination of the surgical site [3, 33]. The main application of the sterile technique is in the operating room when performing surgical cases; however, they can be used in many situations outside the operating room, when performing a procedure that could introduce microbes into a patient, such as insertion of a Foley catheter, an arterial line or a central venous catheter, and sharp instrumental wound debridement [3, 34]. Aseptic techniques, in contrast, are the strategies to prevent transfer of organisms from one person to another by keeping the microbe count to an irreducible minimum. Some authors make the distinction between surgical asepsis or “sterile technique” used in surgery and medical asepsis or “clean technique” that involves procedures to reduce the number and transmission of pathogens [3, 34]. Clean techniques or non-sterile techniques are the strategies that reduce the overall number of microorganisms or prevent or reduce the risk of transmission of microorganisms from one person to another or from one place to another. Clean technique is considered most appropriate for long-term care, home care, and some clinic settings; for patients who are not at high risk for infection; and for patients receiving routine dressings for chronic wounds . Regarding application of sterile techniques for management of chronic wounds, there is no consensus of expert opinion on the use of clean or sterile dressing techniques, and few guidelines have addressed the topic of clean vs sterile. The CDC recommends sterile technique, and dressings have been recommended for postoperative management of wounds for 24–48 h .
Equipment contamination also becomes a prominent issue, especially when it involves multidrug-resistant organisms such as MRSA. Multiple review studies have showed that multiple surfaces and instruments can become contaminated with organisms . A study demonstrated that up to 7% of environmental surfaces at an ED department (such as chairs, telephones, and computer equipment) were positive for MRSA in contrast with no MRSA-positive surfaces detected at an outpatient clinic . Other studies have showed contamination of medical equipment such as endoscopes, ultrasound probes, and stethoscopes with a variety of organisms ranging from coagulase-negative staphylococci to mixed Gram-negative bacilli, Acinetobacter species, and fungal organisms . One study conducted in Ohio reported ice machines as a potential source of dissemination of Gram-negative bacteria and Candida species, where five different ice machines that were tested reported 100% contamination of drain pans by the mentioned organisms . Placement of urinary catheters and central lines is commonplace in the critical care setting. Placement of these devices is considered an invasive procedure, and as such, it carries increased risk for HAIs. The main challenge becomes prompt removal once the device is no longer indicated, to decrease the risk of developing medical device associated infections. Catheter and central line placements frequently take place in the emergency room (ED), as most individuals seeking medical attention are admitted to the hospital through the ED . Multiple studies have found that central line placement that occurred in higher risk environments such as the ED and intensive care units (ICU) had higher rates of contamination than those that occurred in other departments . Average duration of catheterization ranged between 4 and 10 days, and compliance with infection prevention procedures was notably variable, ranging between 33% and 96.5% [15, 23]. Compliance with infection prevention protocols during invasive procedures such as central line insertions is crucial to decrease the risk for HAIs. A frequently encountered limitation has been the lack of standardization or universal rules across the institution to ensure these protocols are met. Care bundles are a set of evidence-based actions that when applied consistently to specific activities during routine patient care have been shown to improve patient safety . These bundles can include different strategies such as education and training, standardized processes, use of maximal sterile barrier precautions, use of chlorhexidine in alcohol for skin preparation, hand hygiene, and catheter care . A bundle will usually contain a small number of items (between 4 and 6) that must be followed every time, on every patient. The small number of items within the bundle makes it easier to implement and ensures all the elements are met . Prior to insertion, consider alternative methods for urine collection, such as condom catheters and intermittent catheterization. Use aseptic technique for insertion and proper maintenance. Daily reassessment of need for urinary catheter and documentation of the indication for urinary catheter use (such as urinary retention, accurate quantification of urine output, and to assist in perineal wound care). There is a distinction to be made between a “bundle” and a “checklist.” In general, checklists may include elements that have good evidence or theoretical basis for best practices, but not the high-level evidence that make up the key elements of a bundle. Checklists could also include additional or optional tasks or reminders, whereas bundles contain elements that must all be completed every time for every patient . The role of supervision while practicing bundle lists during invasive procedures is particularly important in the academic setting, where these principles are taught to house staff in training. There are studies that have evaluated the impact of these training interventions. In one study, a video review of sterile technique practices during central venous catheter insertion by surgical and emergency medicine improved compliance with sterile techniques as opposed to paper handouts containing equivalent information . Despite existence of guidelines and protocols for infection prevention, few institutions have internal policies that are consistent with the known guidelines, therefore making it difficult to standardize their implementation . As with any other intervention, the implementation of a care bundle needs to be planned and supported on a wide institutional scale to secure its success. Similarly, continued feedback and reassessment of outcomes is needed to identify areas that need to be improved, as more performance data and new evidence-based practice become available . Infections with multidrug-resistant organisms (MDROs) have become a significant healthcare problem in the twenty-first century, due to increased morbidity and mortality, as well as prolonged length of hospital stay associated with these infections [4, 5]. According to estimates, more than 70% of bacteria causing HAIs are resistant to at least one antibiotic commonly used in treatment . With the rise of infections by these organisms, HAIs become particularly challenging to treat, and early identification might be helpful in the management of these infections. The most commonly described multidrug-resistant pathogens in the setting of HAIs include methicillin-resistant Staphylococcus aureus (MRSA), vancomycin-resistant Enterococcus (VRE), and multidrug-resistant (MDR) gram-negative rods (GNRs). Similarly, Clostridium difficile, although not considered a multidrug-resistant organism, has become an important nosocomial pathogen given patient burden and its association with frequent antibiotic use . Early identification of these infections remains a major component of infection prevention programs, given the substantial healthcare burden these represent. Interventions often recommended to prevention MDRO and Clostridium difficile include active surveillance, isolation precautions, and cohorting colonized and infected patients. 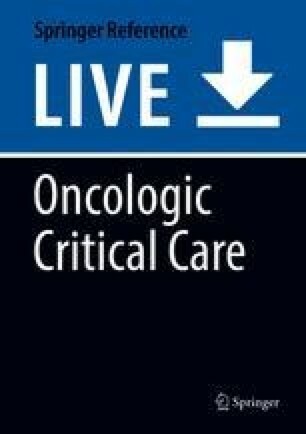 A study that evaluated 413 ICUs across hospitals in the USA found wide variation in adoption of MDRO screening and infection prevention interventions, reporting that 40% of ICUs had policies to screen all admissions for any MDRO, 27% screened periodically, 31% used presumptive isolation/contact precautions pending results from a screen and 42% organized colonized patients in cohorts . The two principal methods to detect multidrug-resistant bacteria as part of microbiological surveillance are culture-based and molecular methods. Among the culture-based methods, surveillance of stool culture or rectal swabs allows to detect common pathogens (such as Salmonella) and MDROs and allows to implement isolation precautions in colonized patients. For respiratory samples, although there is lack of consensus about the value of surveillance cultures in reducing mortality and morbidity, they can be helpful when there is increased concern for hospital-acquired chest infection and pneumonia. Studies have demonstrated association between surveillance tracheal aspirate cultures and prediction of bloodstream infections associated with pneumonia. MRSA nasal swab as part of surveillance in these patients is being practiced in many institutions to date [4, 31]. Molecular methods for the detection of MDROs rely on the detection of specific gene targets by various molecular biology techniques, out of which PCR is the technique most commonly used. The main advantage of this approach is rapid detection of target genes which are present in low numbers in the target sample. PCR-based surveillance test can include detection of MecA genes coding for methicillin resistance, extended-spectrum beta-lactamase-producing organisms, vancomycin-resistance genes, and carbapenemase production on Klebsiella and enterobacteria  (Table 2). There are limitations and challenges to these practices, as particularly MDROs that colonize the gut can persist for indefinite periods of time, making it difficult to apply infection prevention practices such as barrier precautions and cohorting of patients in a practical manner. Similarly, there are no effective methods for gut decolonization for these organisms, and recurrent colonization and reinfection can happen . After implementation of infection prevention and infection prevention programs, it is necessary to monitor their results to determine if the objectives are being met and if the techniques and protocols in place at the healthcare site are working well. Depending on outcomes and evaluation of the performance of said protocols, there might be a need to review current techniques or develop new ones . Various aspects of infection prevention practices can be subject to evaluation, such as incidence of nosocomial infections, situations with potential to cause infection (including incidence of needlestick injuries and occupational exposure to body fluids), prevalence of organisms and patterns of antibiotic susceptibility, process compliance (including handwashing, use of protective personal gear, adequacy of waste disposal, cleaning and spills management, etc. ), maintenance of infrastructure, water, ventilation and air-conditioning systems, outbreak training, and protection of the healthcare worker. The economic impact of implementing infection prevention measures can also be evaluated, to report the financial gain due to decreased HAIs . Monitoring of process compliance is most important to reduce incidence of HAI, preventing multidrug resistance to antimicrobials and protecting healthcare workers from getting infections. The methodology of monitoring should be adopted as per the institutional policy . There are various figures and processes that play a role in monitoring outcomes. Interaction between committees, especially infection prevention and coordinating groups with other hospital authorities, is crucial. The infection prevention committee is directed by a physician with knowledge on infection prevention practices who guides the committee to implement these measures and to develop new methodologies for performance improvement . The infection prevention nurse has daily functions and responsibilities for infection prevention and prevention activities throughout the facility. They supervise the process and help in collection and compilation of data [19, 21]. For the specific case of outbreak studies, the investigating team should include the hospital epidemiologist, the director of employee health, the infection prevention team, and a microbiologist. In some cases, external consultation with experienced specialists in the outbreak area in question might be needed . Methods for monitoring HAI data include observations, interviews, surveys and inspections, and quality assurance activities . To evaluate performance and professional practices related to an infection prevention protocol, the following core competencies need to be fulfilled: establishment of a program of audits and investigations; design of a protocol for evaluation of performance; training of investigators to assess a given practice, structure, or process; application of epidemiological methods during data collection to ensure that the data is reliable; analysis and interpretation of results; constructive communication and dissemination of the results of audits to healthcare workers, administrative personnel, and other professionals involved; and formulation of corrective actions to act upon the results of the evaluation process . Immunocompromised patients constitute a special subset with great susceptibility to healthcare-associated infections and in whom strict observance of infection prevention measures is crucial. Immunocompromised state can be a consequence of underlying immunodeficiency (such in the case of human immunodeficiency virus infection, or congenital immune deficiency syndromes), chronic disease (cancer, diabetes, heart failure), or immunosuppressive therapy (chemotherapy, steroids, etc.) . These populations are at an increased risk of HAIs due to neutropenia, mucosal disruption, immunosuppressant exposure, as well as extensive exposure to the healthcare environment . Typically, the mechanisms for infection in these populations include one of three scenarios: (1) exogenous acquisition of a virulent pathogen, (2) reactivation of a latent organism, and (3) endogenous invasion of an organism normally regarded as commensal or saprophytic. The greatest risk of infection in these patients is caused by airborne or waterborne microorganisms . For these patients, hand hygiene remains the most important intervention. Other considerations include patient placement in which the immunosuppressed individual should not share common spaces with other patients with known infections, containment of airborne spread of pathogens, contact precautions to avoid cross-colonization from other patients, patient placement in rooms with >12 air exchanges/h and single patient rooms with high-efficiency particulate air (HEPA) filters to minimize spread of airborne fungi (particularly of the Aspergillus genus) for stem cell transplant patients, prohibition of floor or carpet vacuuming activities that could cause aerosolization of fungal spores, removal of any organic moist materials within 24–48 h to prevent fungal growth, and disinfection of medical devices and other equipment according to institutional protocols . AORN, Inc. Sterile techniques: key concepts and practices. 2013 AORN Study guide. 2017. Available at: https://www.med.illinois.edu/m1/courses/ihd/cpp/student/Sterile%20Technique.pdf. Accessed 10 Feb 2018. Centers for Disease Control and Prevention. Healthcare Associated Infections (HAIs). HAI Data and Statistics. 2018. Available at: https://www.cdc.gov/hai/surveillance/index.html. Accessed 1 May 2018. European Centre for Disease Control and Prevention. Core competencies for infection prevention and hospital hygiene professionals in the European Union. 2013. Available at: https://ecdc.europa.eu/sites/portal/files/media/en/publications/Publications/infection-prevention-core-competencies.pdf. Accessed 23 Apr 2018. Siegel et al. Management of multidrug-resistant organisms in healthcare settings. Guidelines from Healthcare Infection Control Practices Advisory Committee. 2006. Available at: https://www.cdc.gov/infectioncontrol/guidelines/mdro/. Accessed 20 Jul 2018.